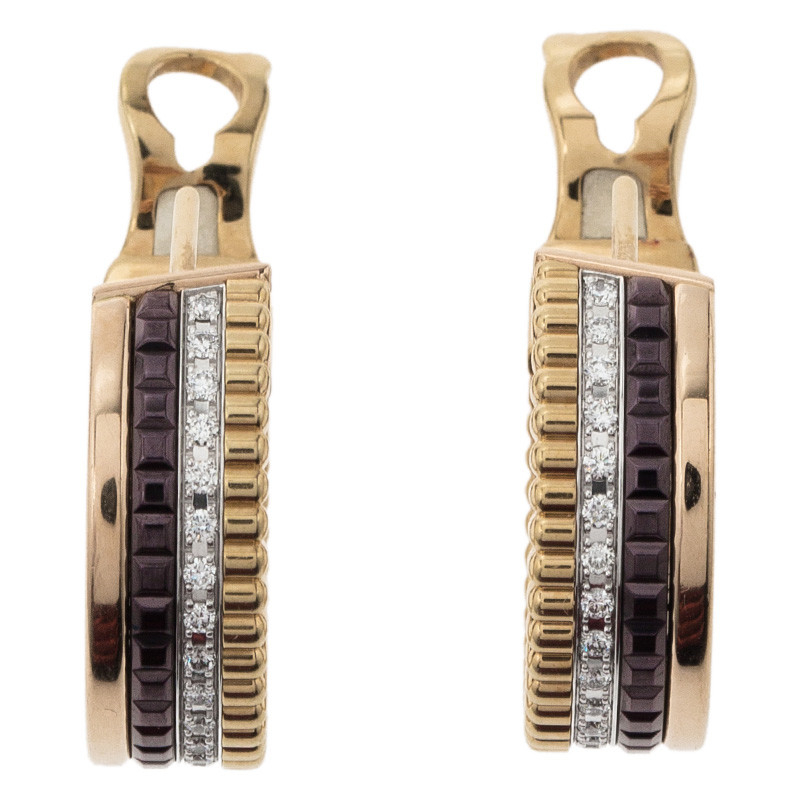 Simple and elegant, these Quatre 18K yellow and rose gold earrings are the perfect pair for a fancy evening. 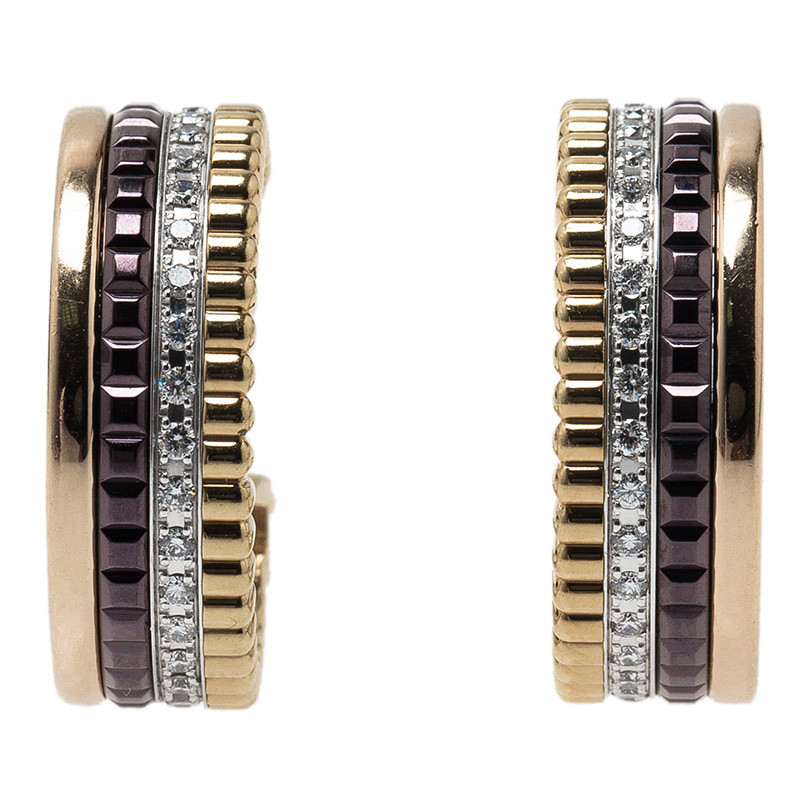 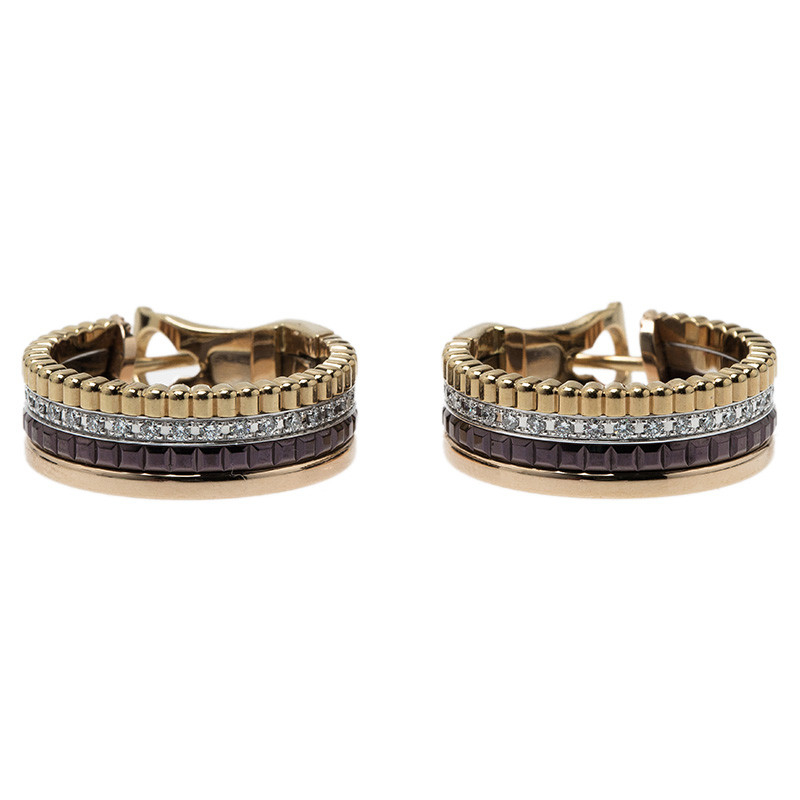 Made in a multicolored design, they are set with 50 round brilliant cut diamonds. 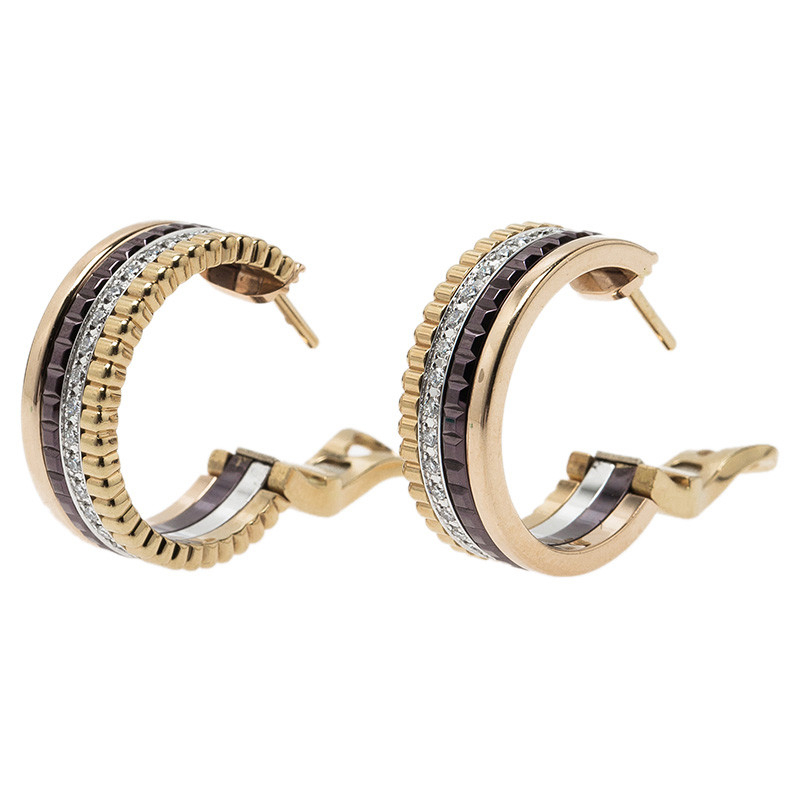 Adding to their classy look is their small hooped shape and their snap closure that make them easy to wear.